My dear friend Donna over at Papyrus Studio has honored me and ask me to be a featured artist on her blog. I kinda panicked, I had thought she wanted a feature on my card making - which is more or less on hold right now! I was very happy to find out she wanted to highlight other types of crafting! There are a few other types of crafting that I enjoy: cooking, quilting, sewing, embroidery - I do those every day. I think my favorite is Surface Embroidery! I have been doing embroidery off and on my whole life, there is just something that draws me to it. Now that I have the time I am working at really improving my skills. I left off the needlework for about 4 years -I had a hand injury and couldn't hold the needle. This year the hand is better and I am back at it. 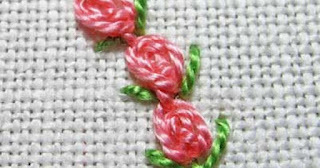 There are many types of embroidery and all take time and patience to learn and perfect - like any skill. 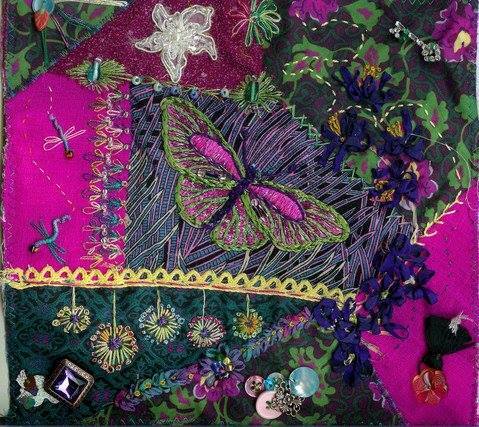 The areas I am currently pursuing are, Surface Embroidery, Crewel Embroidery, Stumpwork, Goldwork and Crazy Quilting. I'm going to give you a glimpse of my Crazy Quilting world. Basically you patch together a fabric block and then adorn the seams. this block is now in it's way to the next person to stitch on in the group - this event is called a round robin. 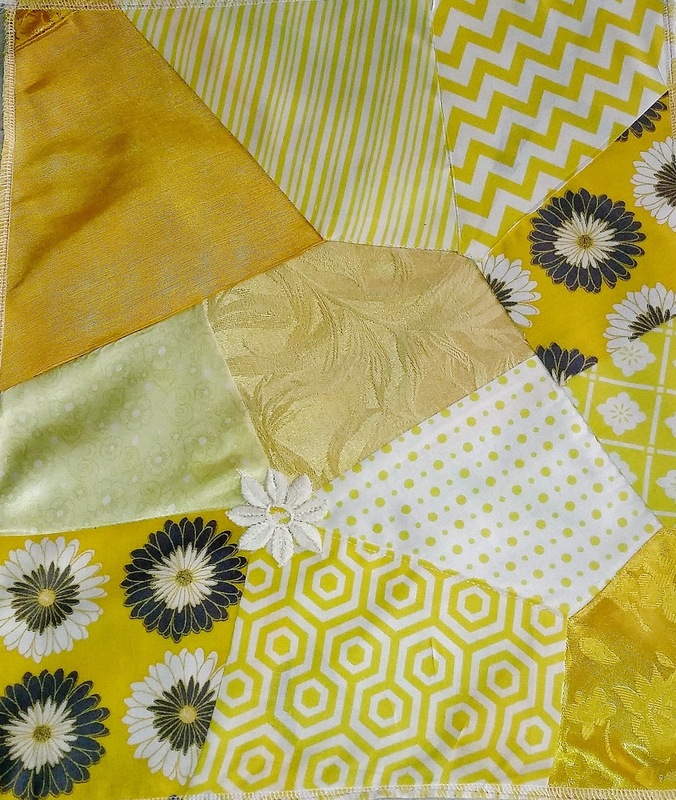 Crazy quilting is a wonderful craft to use fabrics that are left over bits from bigger projects. You can machine piece (I do) or you can hand piece. "Piecing" is the art attaching one block to another. It included very nice needlepoint blends of wool/silk! Do there are places to find bargains for yur stash! and of course the sub-hobby: Storage! I don't want to forget to mention, Machine Crazy Quilting! I hope you enjoyed this little peak into my Crazy Quilt world! I encourage to try a little needlework, in this crazy hectic world , this gentle hobby is very satisfying! Thanks for stopping by! Thank you Ginny, about the only thing I can say is that I find embroidery very calming as well. And it takes me back to my roots. What a wonderful stash you have there Ginny - and beautifully organised! Fabulous CQ samples too. You are an inspiration to me. I am fairly new to Crazy Quilting and embroidery but can't seem to get enough of them. All aspects are great fun from storage to acquiring materials from unusual sources.☺️. Oh to be so organized, I am a work in progress and enjoying every minute of it.